A business card with the names of two court clerks on it: evidently Mr. and Mrs W. J. E. Thather. 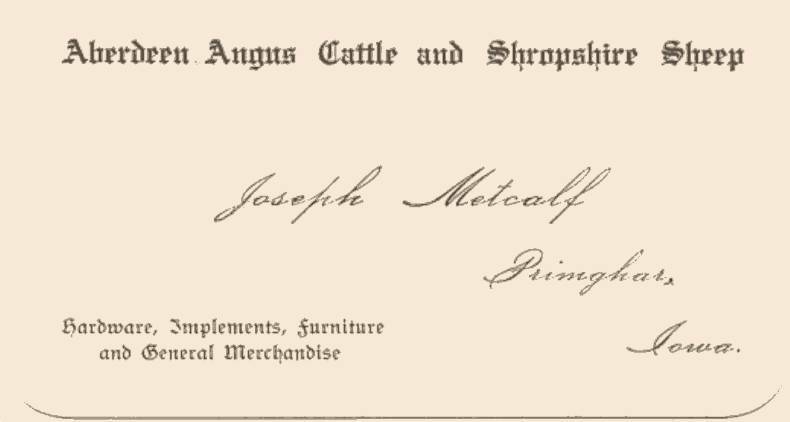 790x175 Joseph Metcalf's card. livestock, hardware and more are listed on his card. 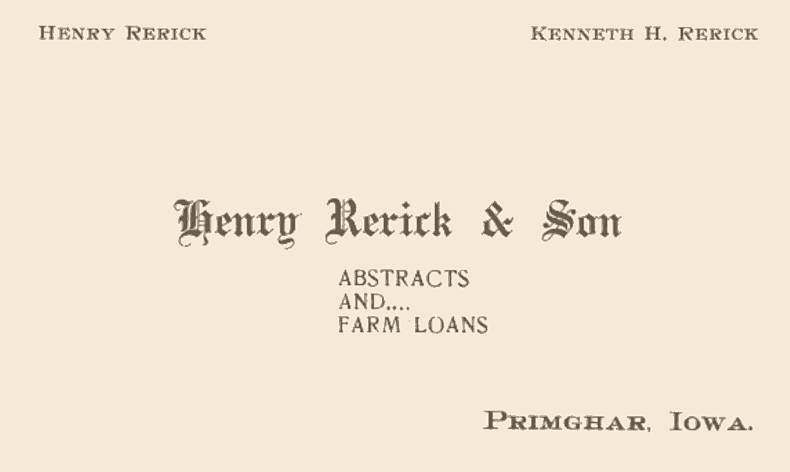 790x422 Rerick Abstract card from June, 1911. 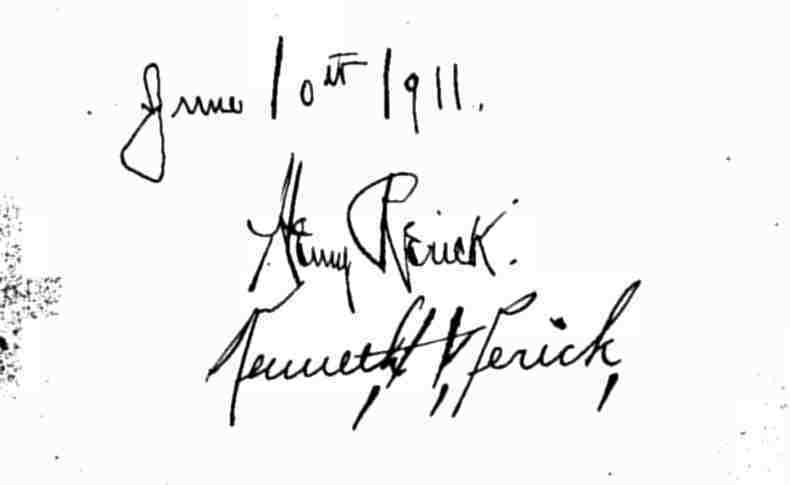 790x472 Thes signatures are from the back of the Rerick Abstract card. From Plessis to Germantown; from Ritter to Old O'Brien was the breadth of this chauffeur's business. 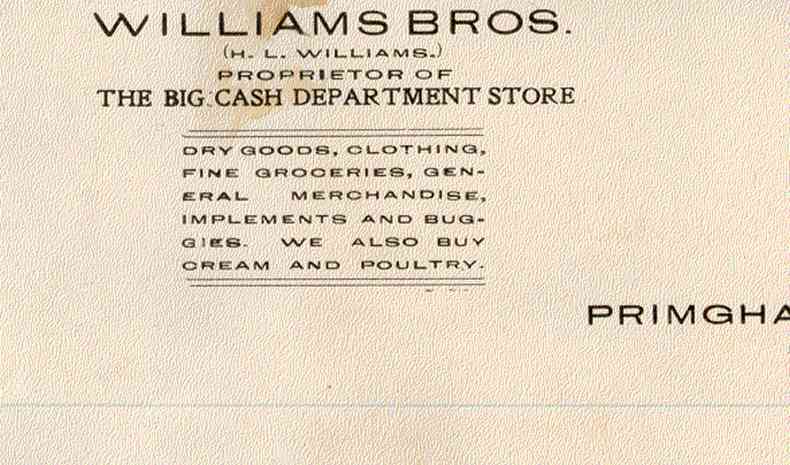 790x340 The Big Cash Department Store I can't picture WalMart buying cream and poultry!! 790x465 Druggists and Booksellers--quite a combination. I wonder how many titles he carried. Today it would be DVD's . 790x365 This is a second drug store (?). This one sell records and "Victor Talking Machines." 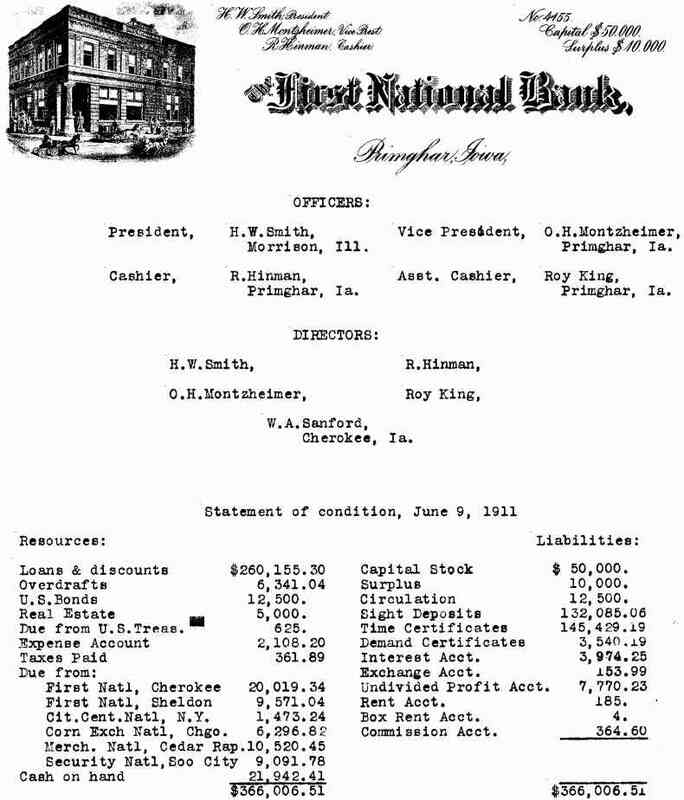 The First National Bank's statement of conditions. H. W. Smith is among the directors listed. 790x924 I don't know. "Return in Five Days"--could it be a document transmittal tag. From Rerick Abstract. 790x296 Names of Hub Hotel stockholders. You will recognize many of the names as your or a friend's ancestors. 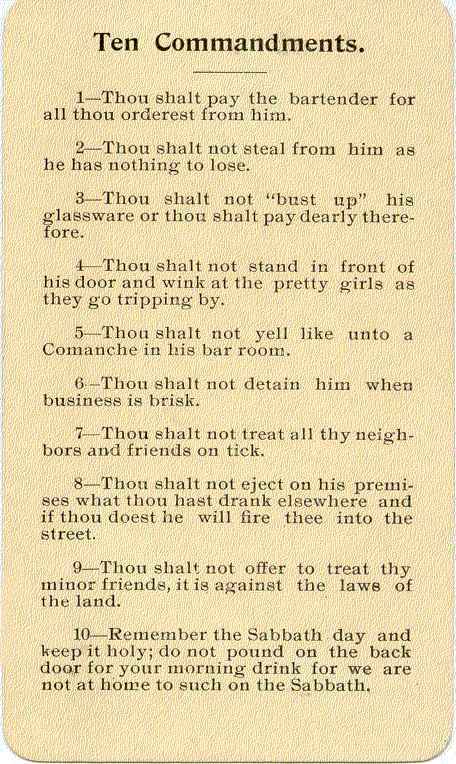 790x1206 Ten Commandments from the bar. "thou shalt not pound the back door for your morning drink"... and more.